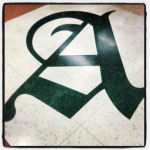 Lord Asquith School » Hoopla 2015 – You’re INVITED!! Hoopla 2015 – You’re INVITED!! Our Sr. Girls’ Basketball team is going to Provincials !!! This past weekend, our Sr. 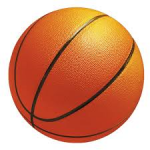 Girls defeated Lake Lenore in 1A Regional Basketball to earn a spot in Hoopla (provincials) this Friday night (March 27th) at Bethlehem High School in Saskatoon. The last time our SR girls made it to basketball provincials was 1990 !! The last time Asquith Sr. Girls won provincials was in 1985 !!! There will be a fan bus leaving Asquith at 6:30 pm for any students and community members who would like to attend. There will not be a charge for the bus, but there is admission into the venue – I believe it is $3.00 for students and $5.00 for adults. Any fans who ride in on the bus need to ride home on the bus as well (unless I receive a note that a PARENT is picking up the student ). The bus will leave ASQUITH school at 6:30 pm and return at approximately 10:30 pm. We are asking people to flood the school as fans for our girls – being one of the top FOUR teams in the province is a HUGE DEAL !!! PLEASE SUPPORT YOUR SCHOOL AND YOUR ATHLETES !! If you are interested in riding the bus, please let Ms. Stack know by WEDNESDAY, March 25th. I just got word that the Sr. girls BBall team is in Provincials. Please forward my congratulation to Coach Quittenbaum and the team. I hope they can put a new banner up on the wall. Just for nearest, how many of the players have a connection to the girls who won three straight in the early 80’s?